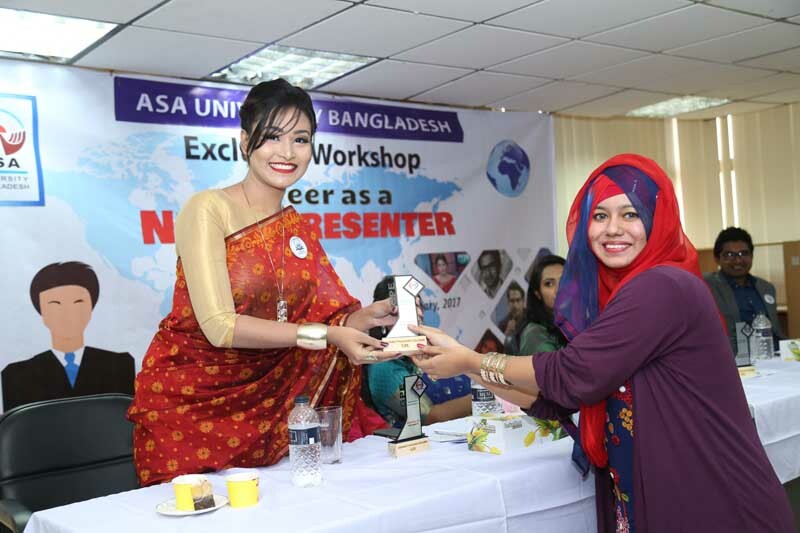 The Language Club, ASA University Bangladesh, has organized a workshop on "Career as a News Presenter" in collaboration with GPE-Gladiolus Presentation Education, an institute for news presentation. Ten news presenters from different channels have conducted the workshop with an aim to preparing potential future news presenters. 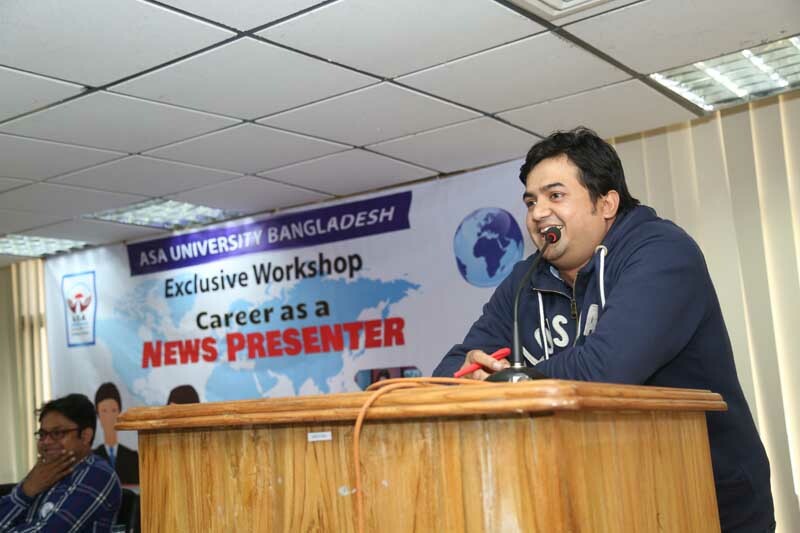 The workshop has offered guidelines on technical aspects as well as techniques of live news presentation. 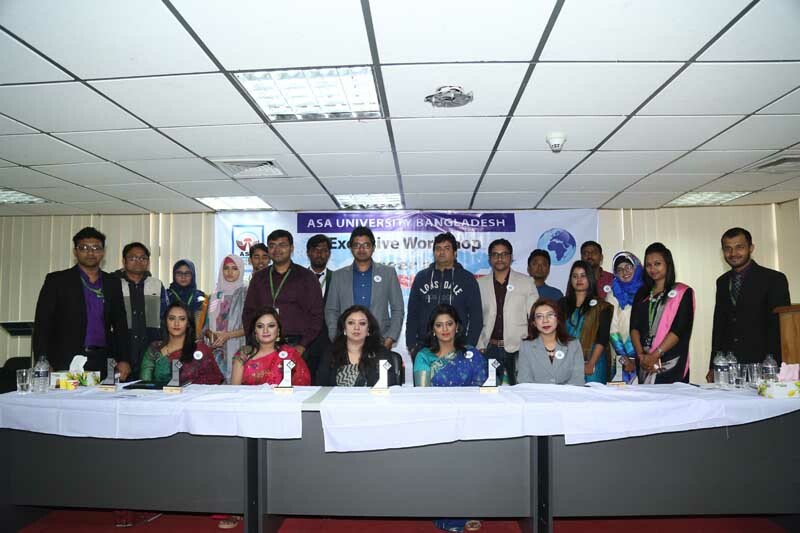 Professor Dr. Abu Daud Hasan, Dean, Faulty of Arts and Social Science and Chairman, Department of English, ASAUB inaugurated the program, Diana Ansarey, Assistant Professor, Department of English gave the welcome speech. 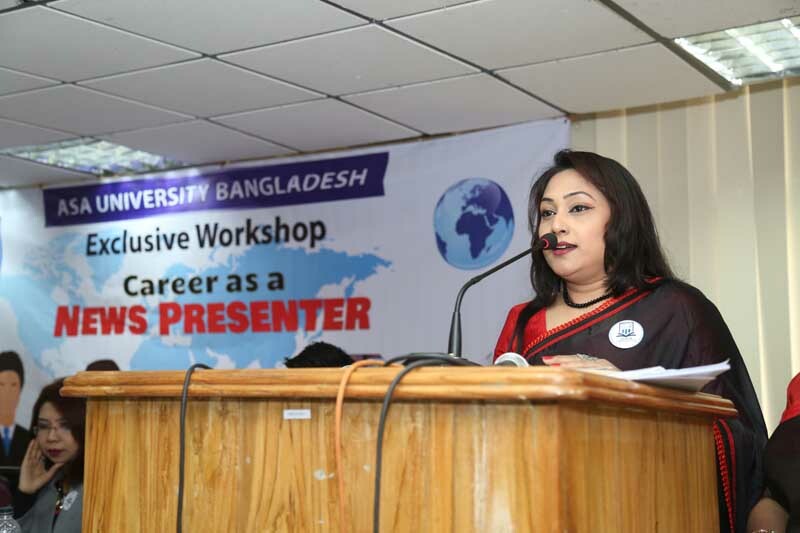 The opening session began with News System and News presentation by Mr. Rana Islam, Executive producer Deepto TV followed by other sessions by renowned TV presenters, Reaz Hafiz, Md. 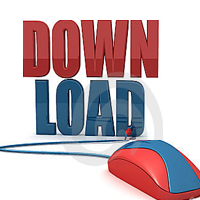 Nazrul Islam Babu, Sharmin Nahar Lina, Kaniz fatema Lopa, Quazi Sayedul Islam, Mohsena Shaon, Subrata Saha, Rashed Rahman, Naomi Anchol and Sumaiya Afrin Ahona. 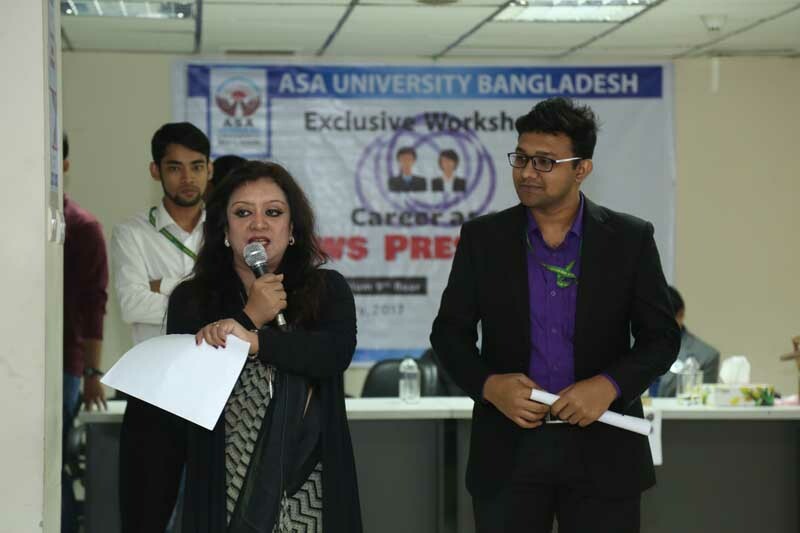 The workshop was coordinated by Diana Ansarey, Assistant Professor and Moderator, ASAUB Language Club. 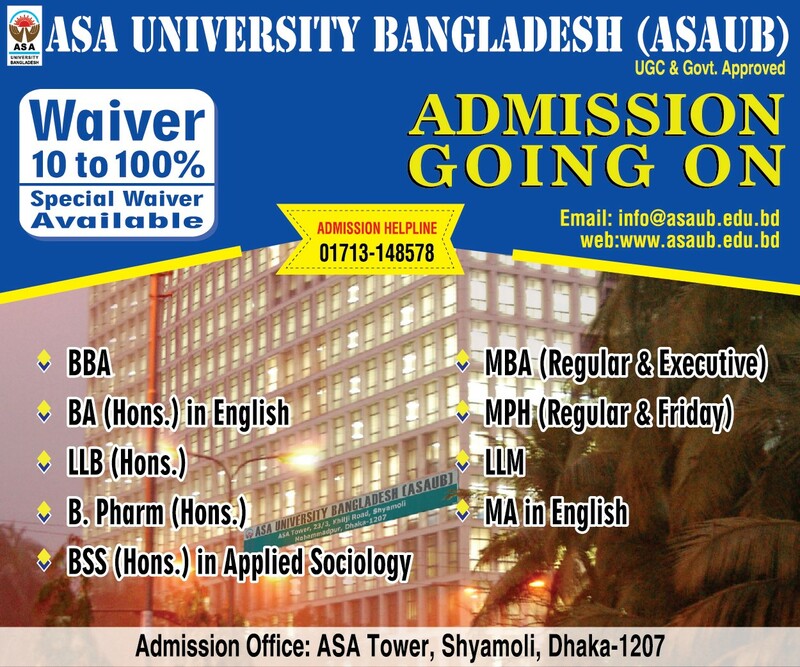 Deans of faculties, departmental Chairs and faculty members, Mr. Mohammad Masudur Rahman, Deputy Registrar, ASA University Bangladesh was also present in the program; and key officials of ASAUB were also present.